– declares the factory method, which returns an object of type Product. 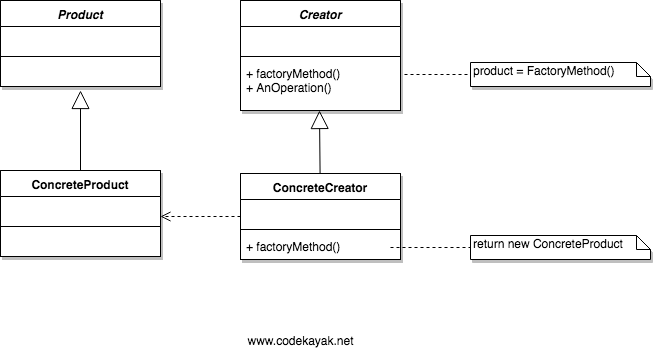 Creator may also define a default implementation of the factory method that returns a default ConcreteProduct object. – may call the factory method to create a Product object. 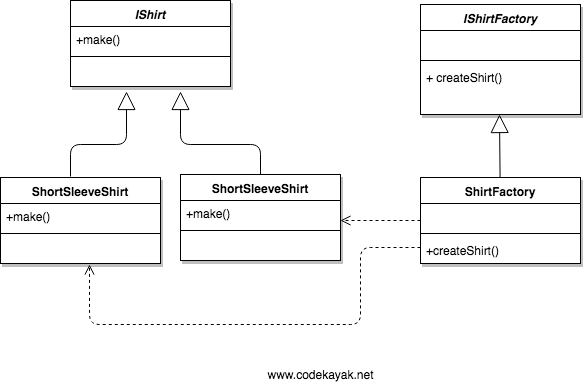 func createShirt(type: String) -> IShirt?